Volunteering in Bogotá could be a great way to meet new people, interact with the locals and get a better feel for local culture. I have heard about a number of volunteer opportunities in Bogotá but when I’ve looked at their websites it’s not always clear whether you need to speak Spanish to participate. Here are a few volunteer opportunities in and around Bogotá for which you won’t need to know any Spanish. Just bring plenty of enthusiasm! Cenas para todos (Dinner for everyone) is a weekly outdoor soup kitchen co-ordinated by charity Fundación 3DC. They prepare hot meals and sandwiches for over 100 recyclers (recicladores) every Friday night under the bridge at Calle 127. The recyclers collect recyclable rubbish from around the city, pile it up on their carts and take it to the recycling centres in exchange for a bit of money. You might see them collecting during the day, though they often work at night after people and businesses have put out their rubbish. To volunteer on Friday evenings, Paola, one of the volunteers who speaks English, at fundacion3dc@gmail.com. Every Saturday, Just ‘Cause facilitates a cultural exchange between volunteers and children from local communities in Bogotá. It involves playing games, talking to the children and helping them with their English. If you would like to volunteer or ask for more information, please contact Ginna Marcela Lozano via private message on Facebook or send her a message on WhatsApp (+573196466716). This NGO is run by my friend Chantelle and works to help local communities in and around Bogotá. There are short, medium and long-term volunteering opportunities, including teaching English to the local coffee farming communities, running workshops on a theme of your choice (in the past these have included music, environmental art, and photography workshops), helping with the coffee harvest or fundraising. Bear in mind that the level of English in these communities will be pretty basic, so if you want to run a practical workshop it will help to have a reasonable knowledge of Spanish, or to have the skills to communicate in other ways. Find out about the different volunteer activities you could get involved in on the Interchange Colombia website. Some of the pages don’t seem to be working properly, so to find out more, send them a message via their contact page, or send me a message and I will pass your details onto Chantelle. The CX Hostel is located in the heart of Chapinero and offers people the chance to volunteer for a minimum of one month, working on the front desk and helping with house-keeping tasks and hostel activities. In exchange, you’ll get a free bed in one of their 8-bed dorms, breakfast every day and a free laundry allowance. There’s quite a demand for these voluntary positions, so contact them to find out the current availability. 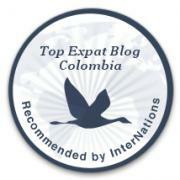 Have you been involved in any volunteer programmes in Bogotá that you would recommend to others? Please let us know in the comments section below! Please click and listen to our offer to those who arrive and want to be teachers to make extra cash. Hi Paola, thanks for getting in touch! I have updated the email address. I’m not in Bogota at the moment but I should be back in June/July and hope to be able to participate then. Saludos!